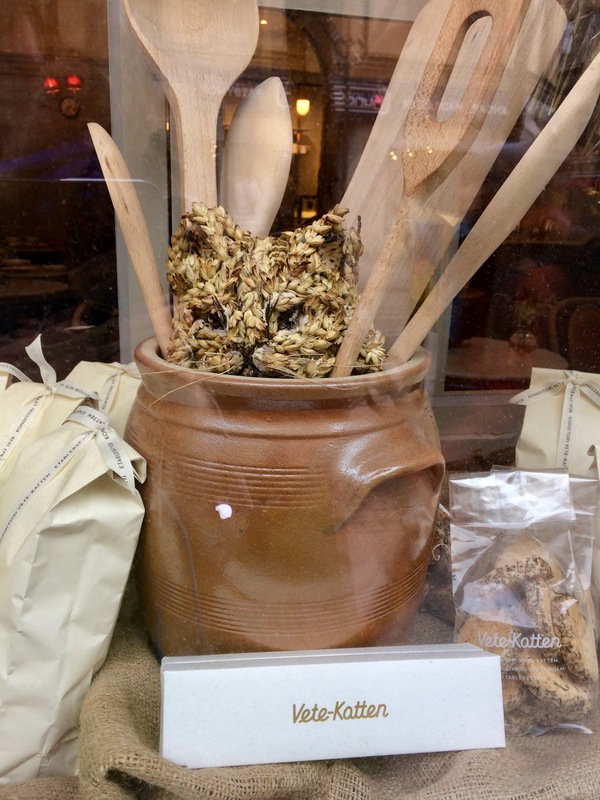 Home › Animals › Wheat cats at Vete-katten! 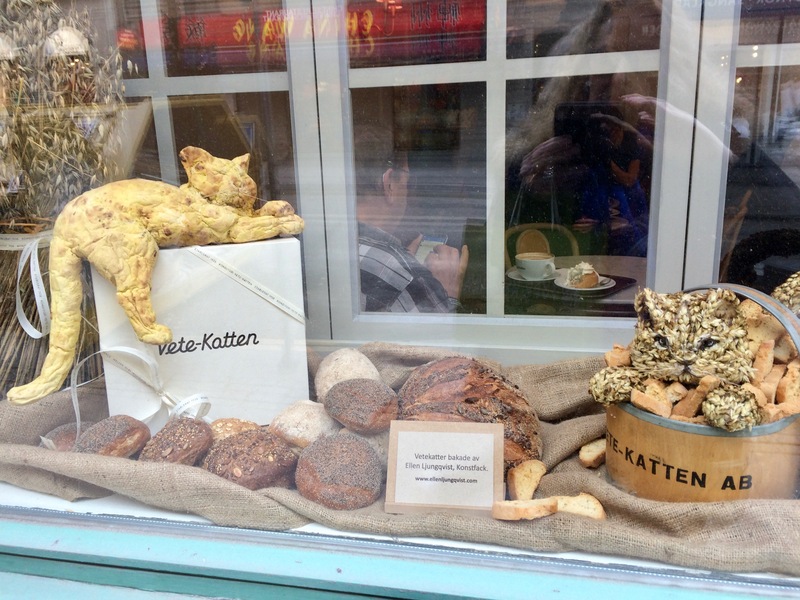 There is a famous bakery in Stockholm called Vete-Katten. 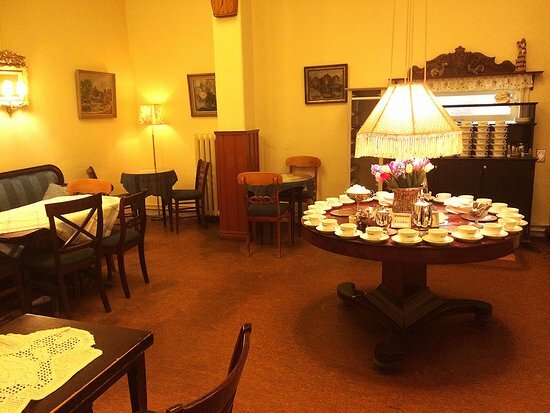 It is very northern European in design with antique decor, and the café part is a labyrinth of cosy inter-leading rooms and narrow corridors. The homey decor reminds me of ‘granny’s house’. Everything is baked from scratch using no additives. I can recommend a visit if you live or visit Stockholm. Vete–Katten was founded in 1928 by a particularly forthright lady, Ester Nordhammar. 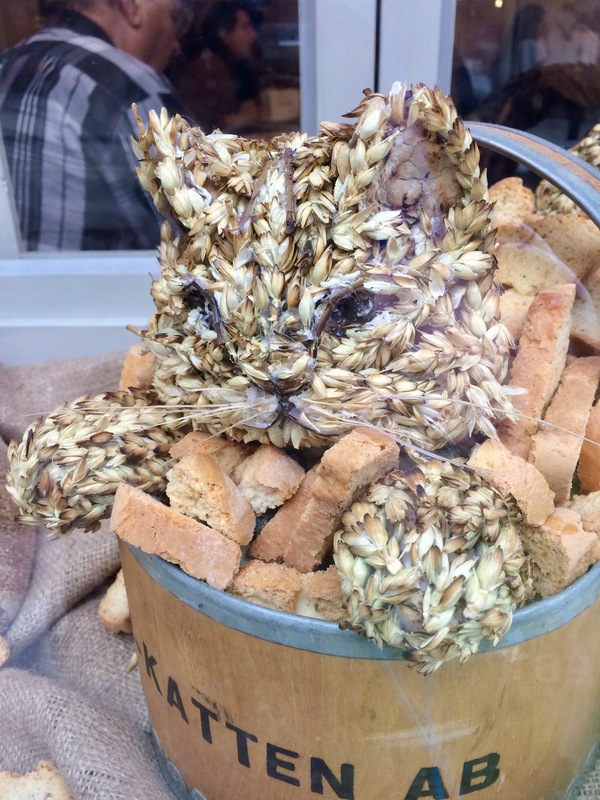 wheat cat”. Somebody must have liked the spontaneity of this and the play on words, so the name stuck. Another idea she had was to exclusively employ young women in the business (and she held by this, as not a single man was employed at Vete–Katten until 1961, the year Ester died). She teamed up with a partner, Anna Skog, who initially looked after production. 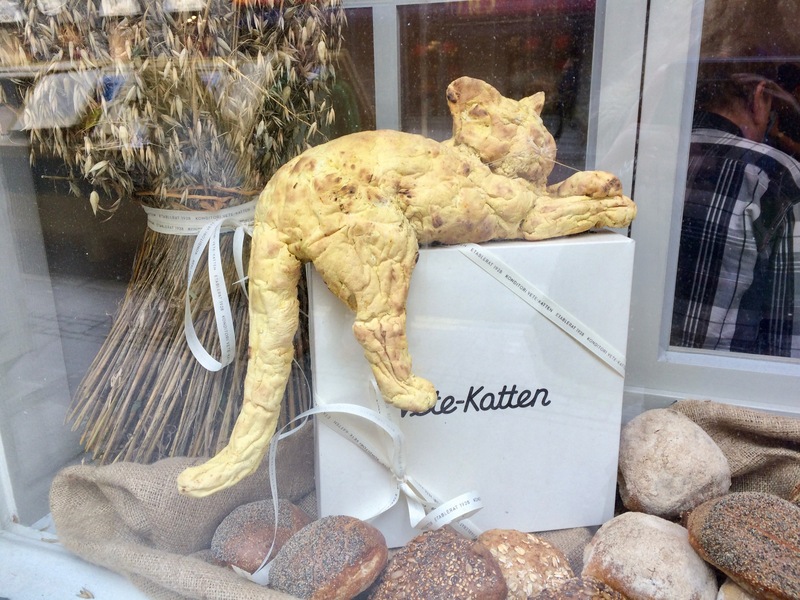 After a few years Anna left and Ester continued to run Vete–Katten by herself. 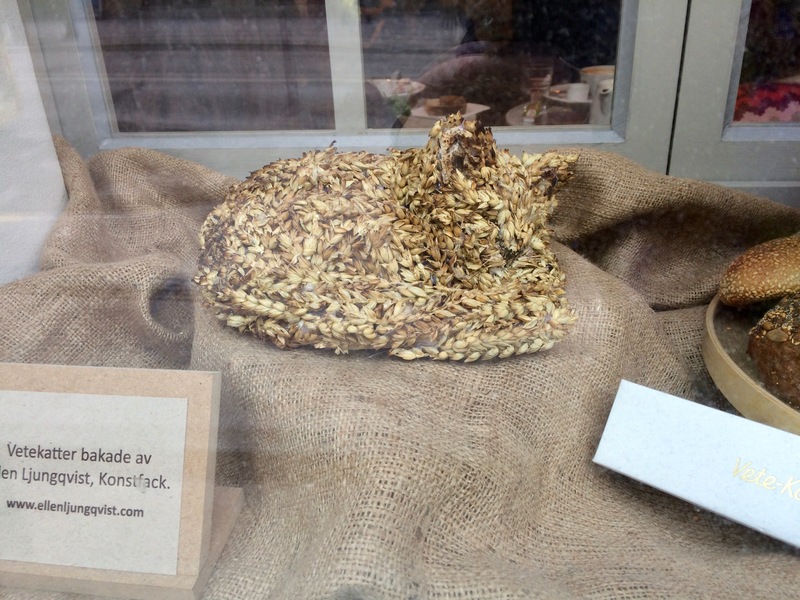 And she did this, with a firm hand, until 1961 when she bequeathed the patisserie to four of her employees. Two of them remained until 1979 when Vete–Katten was sold to Agneta and Östen Brolin. 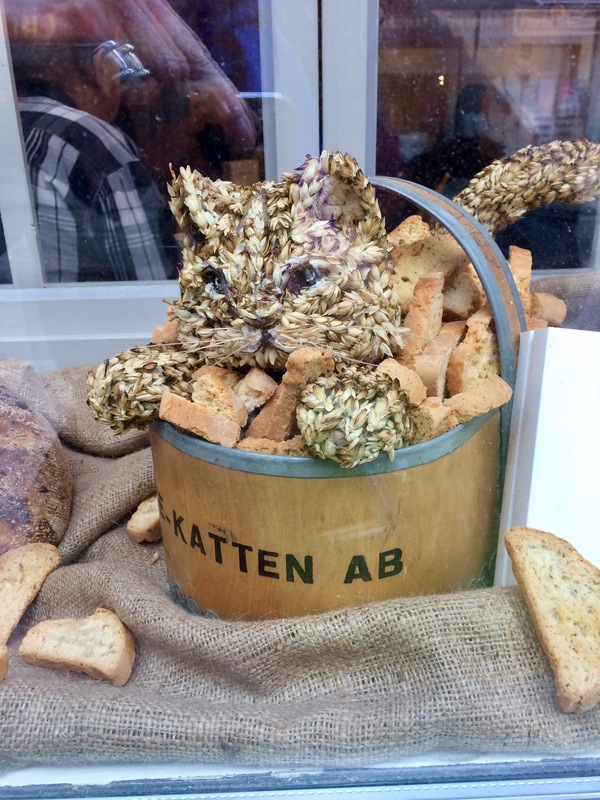 They in turn sold the venerable institution in 2012 to master pastry chef Johan Sandelin, who has worked in the company since 1997 and ensures the spirit of Vete–Katten lives on. 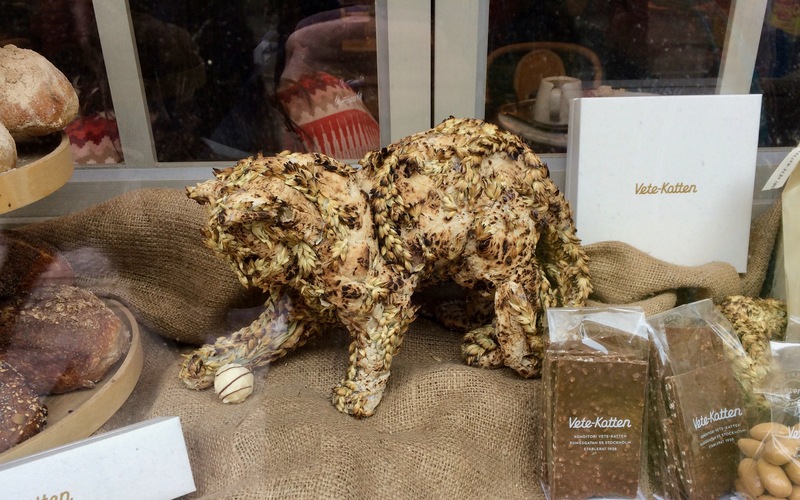 Anyhoo, I went past Vete-Katten yesterday and they had actual wheat cats in the windows. They were so beautifully done! 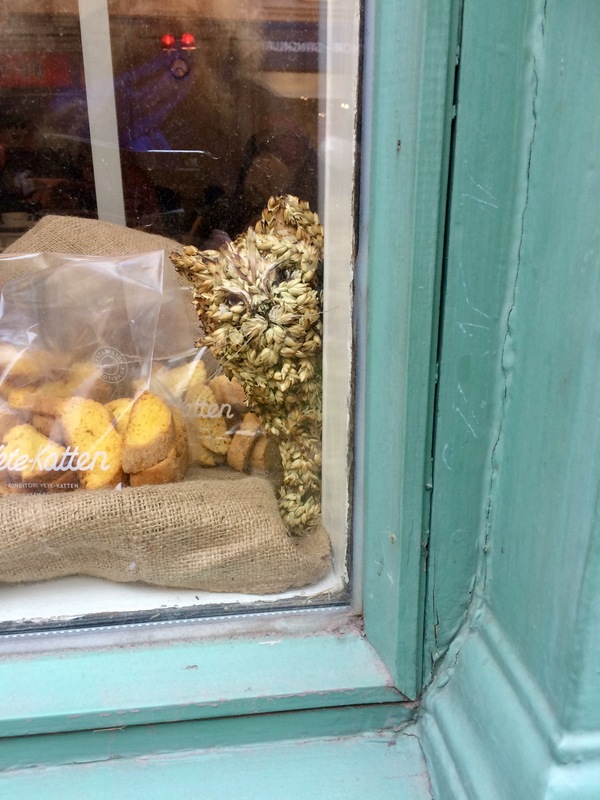 Ellen Ljungqvist, who baked them, really knows cats. Aren’t they amazing?